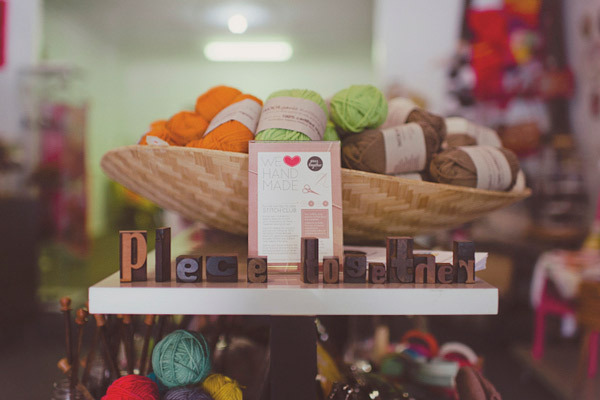 Fk chats to two very crafty ladies, Tammy & Jennine of Piece Together in Brisbane! 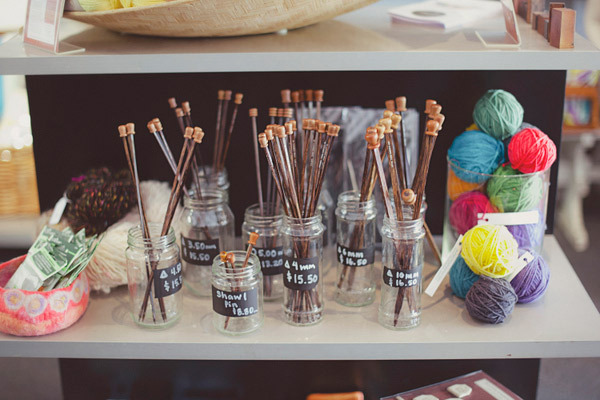 Tell us about your crafty store Piece Together and what things we can expect to discover. 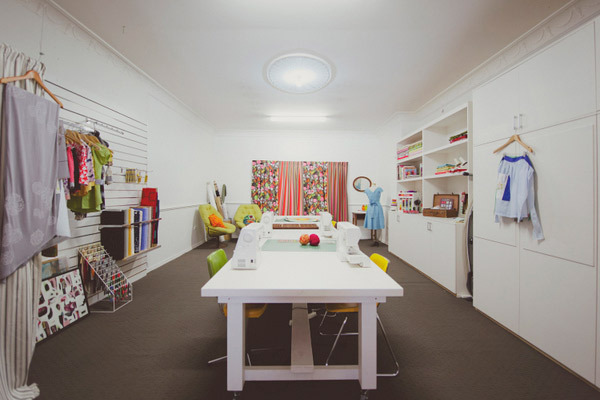 Piece Together is a sewing lounge, with a dedicated studio for creative workshops. Our project based workshops are designed for participants to achieve the gratification that comes with making something you love with your own two hands, have a good ‘ole time with a bunch of other people and take away some new skills. 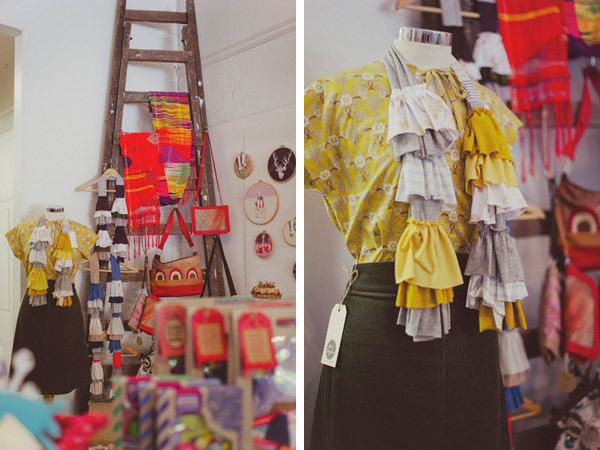 The accompanying shop is filled with handmade goods by local and national designers that we admire. We also supply small ranges of wools, fabrics and tools that are compatible with both our ethics and workshops. You can also stop in for coffee and sweets while crafting up one of our kits. Who are the team behind Piece Together and what are their roles? With workshops on the go, planning new timetables, writing about classes and the shop, it definitely needs more than one person to ensure it all goes to plan. Tammy started Piece Together as a way for others to get the ‘fix’ that accompanies making something yourself as well as dreaming up a venue that gives you creative downtime. We like to see people personalising their consumption, slowing down, making, appreciating and hopefully keeping what they’ve made for the long term. Apart from business planning, Tammy teaches some of the beginner sewing classes and loves to seek out new creative artists to take classes. Jennine Birrell came into the business as a knitting instructor. Her love for the business, passion for all things fibre and six years of experience with an online market have been excellent assets for Piece Together. Over the course of this year she has worn many hats, taking care of the website and social median, designing craft kits, classes and crochet blankets. It’s definitely her dream job! We look for products that are made with an eco conscious frame of mind. Our message to makers includes that of reduce waste and upcycle wherever possible so we try to find other makers with this put in to practice. Of course we love items that are original, unique and lovely to look at. 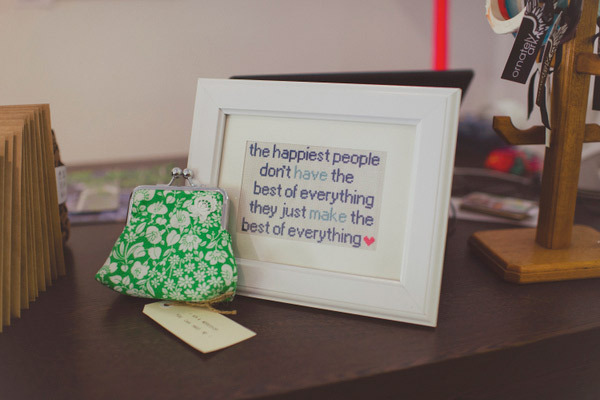 We try to pick things that people would want to take home and enables them to continue making. 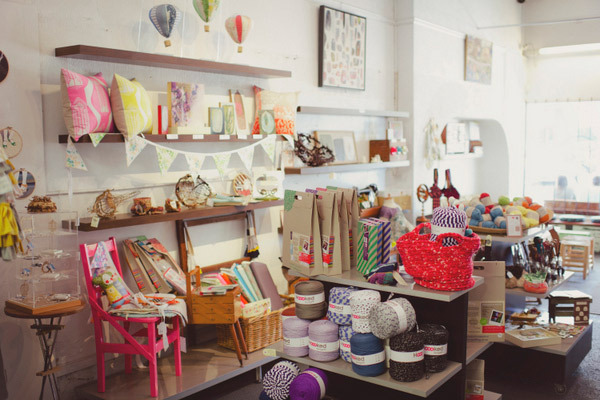 Our shop is located in Brisbane and is stand alone when it comes to craft and coffee! We love what we do and feel lucky to invite others into a creative space. The greatest delight is watching people leave with their finished project and knowing that they have the skills to recreate it again at home. Many go on to make gifts with their skills and of course we enjoy seeing the pictures or having them return to explain how the gifts finished up. We are currently exhibiting work by local artist Tiel Sievl Keevers, recently supported a pop up florist and will be having a small series of very special Saori weaving classes … so I would have to say that being able to bring people new skills and crafts across a range of areas is lots of fun. Embracing the idea that taking time our of a working day to create is as important for your health as walking and breathing is what we consider core business and not an opportunity that traditional retail can readily provide. When you are not in your shop, what are you usually doing in Brisbane? Tammy – Usually planning for Piece Together, phone and laptop are never far away! However with three kids, we need to get out an about as often as possible when there is no extra curricular activity… riding bikes, rollerblading, picnicing. A favourite is to load the car with bikes (we live on a hill so no riding out! ), ride as far as possible on great paths around the city, stop at a park, play, eat and then head home. We also love the Northey Street markets for early morning Sunday groceries. Jennine – Working on things for the shop! Because our business is in it’s infancy, whether it’s a blog, pattern or kit I am doing something with the shop in mind. Lucky for me, my work heavily revolves around craft! Recently, we had a fantastic opportunity to move our studio to ground level of a pretty busy street. Although it was literally down the stairs, we had less than two weeks to jump at the opportunity, make all the necessary arrangements and physically open up at the new premises. This was hard work. And the new location comes with it’s own set of challenges. Earlier this year we implemented a new payment system on our website to ease the navigation for users. It’s been a success but some getting used to! Sometimes it’s hard to remember that “nothing can’t be overcome” when you are right in the middle of a challenging situation – but it can! The response of people who ‘get’ what you are trying to do is ‘pay dirt’ when things are tough. 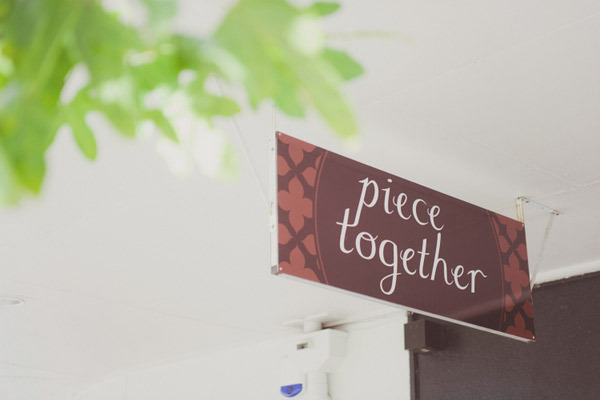 What new projects are you working on for Piece Together for the remainder of 2012? Piece Together is growing rapidly. We are always looking for new events to host, workshops and instructors as well and crafts and supplies. We will never be idle in our making as we aim to inspire our fellow makers. We recently introduced the Master Class Series where we invited other makers to run a one off workshop in other craft based areas. This includes leather working, floral design, Saori weaving, advanced sewing and interior design. We are very excited as these areas expand on the sewing, knitting and crochet classes that we already love to teach. It would also be lovely to actually make our mark on the new premises as we’ve hit the ground running.